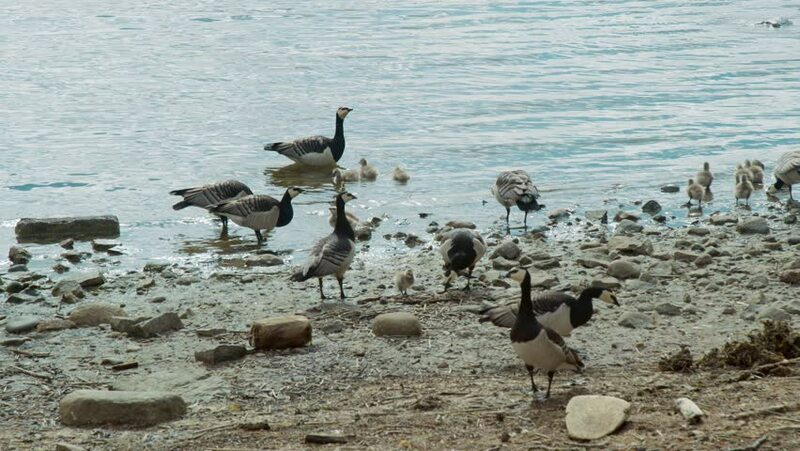 Canada geese and chicks by the water on the beach. hd00:10Groups of seagulls on the beach. hd00:14Swans in the Caspian Sea. The month of February. Kazakhstan.